Generally, those who have reviewed my novels on terrorism and peacemaking have been encouraging if not enthusiastic. However, I was recently blessed by a brutally honest reviewer who objected to some aspects of my newest book, A VIOLENT LIGHT. This reviewer drew conclusions that because some characters in the book acted the way they did, that I must be anti-law enforcement, anti-veterans, anti-gun owners, anti-self-defense, and anti-sharing your faith. This person decided that because of how some characters tried to build bridges across the religious divide, that I must be a universalist. All of these assumptions were incorrect. 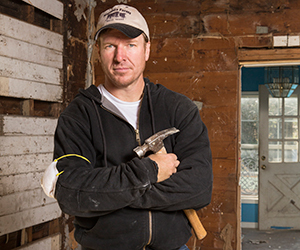 I felt the parallels right away when I read about HGTV stars Chip and Joanna Gaines from the show “Fixer Upper” getting blasted as LGBT haters because they attend a church that preaches that Biblical marriage is between a man and a woman. We heard plenty of this narrow thinking during the recent presidential campaign. One friend basically told me, “If you are critical of anything Trump has said or done, you must be supporting Hilary,” while another implied, “If you agree with any one thing Trump has said or done, you must be endorsing racism, sexism, xenophobia and a host of other evils.” Neither of these people took the time to actually understand what I thought about either candidate or the issues, having instantly pigeon-holed me with “not this, so that” thinking. I know some of my Christian friends question why I work for peace alongside Muslims when, according to their thinking, I should be convincing Muslims to agree with my religious views first before working with them. Once again, here’s Chip’s brilliant perspective: “If your position only extends love to the people who agree with you, we want to respectfully challenge that position. We propose operating with a love so real and true that you are willing to roll up your sleeves and work alongside the very people that are most unlike you. What a good word for America, and for our world! Disagreement should never limit our capacity to love and serve others. Can we post this on the wall of the Senate and House chambers? How about at city-wide pastors’ meetings? Or at any community event? The truth is that most issues are complex, most people are complex, and anyone who tries to get a group of people to agree on every single thing is probably a cult leader. Assuming that someone who disagrees with us must be on the opposite end of the spectrum from us, must be intolerant or a hater, does not extend to them the grace that we wish would be extended to us in all of our complexity. Where I live and pursue peace in Indonesia, our current president Joko Widodo models well what Chip is saying. While the extremists were issuing fatwas forbidding Muslims from even wishing Christians a “Merry Christmas,” our Muslim president ignored them and joined the Christians in their Christmas celebrations. Yasser Arafat did the same every Christmas between 1995-2000 attending Catholic, Protestant, Orthodox and Armenian church celebrations with the Christian minorities in Bethlehem. Our divided nation cannot wait for us all to agree as a prerequisite to progress. It’s time we “roll up our sleeves and work alongside the very people most unlike us.” As we do, we’ll learn to understand each other, and undoubtedly change each other in the process.